Ali Calkins has made a difference to a number of horses and their riders! Here are a few shared experiences from her happy clients. 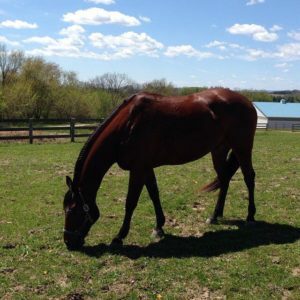 “When I brought my horse to Forward Strides, neither she nor I were happy, and I knew that if I didn’t bring her to Ali she would not have gotten the care and attention she so desperately needed. My horse was lame as no farrier could keep a shoe on her. She had a bad flare up of Lymes Disease, had developed bad ground manners, and was unmountable. We also determined she had back pain due to a poorly fitting saddle. With Ali’s skilled, professional, and dependable team consisting of her farrier, vet, accupuncturist/chiropractor, and saddle fitter, I had a whole new horse in a matter of months. 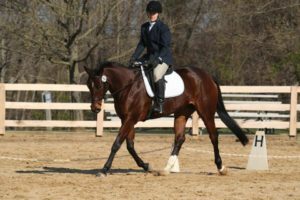 Next, Ali began working on her ground manners and mounting issues. 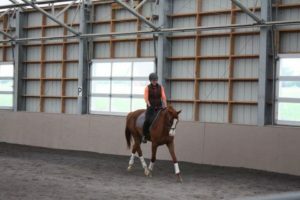 Ali has such patience and skill working with all horses, but she gets the A+ award when it comes to retraining. She took whatever time was needed with my horse to reassure her that nothing or anyone was going to hurt her. She wasn’t rushed into anything. She now stands confidently and quietly to be mounted from either side and is much more respectful and quiet on the ground.